Got letters? 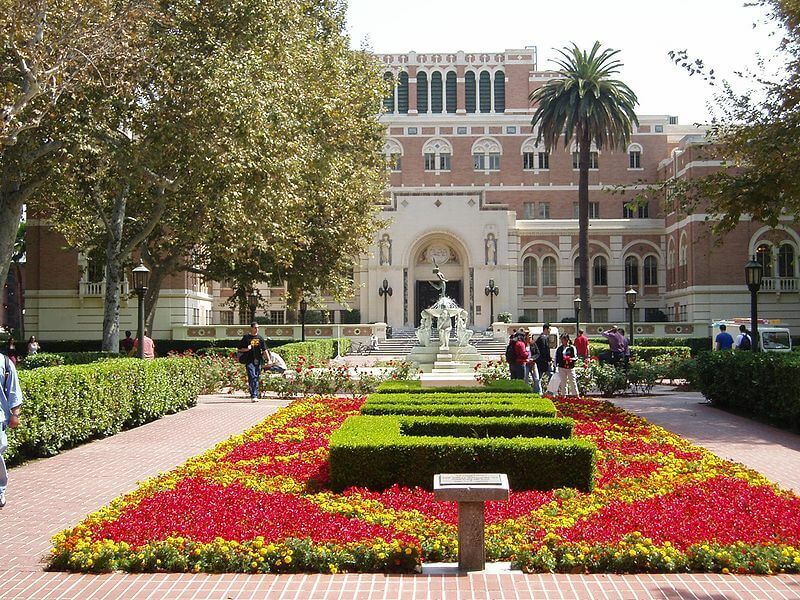 When you hear the word “college,” you imagine beautifully manicured lawns, gothic buildings and of course, groups of students clad in Greek tees. Although Greek life exists at practically every school, not all of them go above and beyond when it comes to community service and the Animal House party vibe. Complete with dozens of sororities and fraternities, generous philanthropies and luxurious houses, these ten campuses take the Greek life seriously. Fraternity parties usually means kegs and sticky floors, but UA has famous performers like Soulja Boy and Old Dominion too. Looks like UA Greeks mastered the work hard, play hard mentality, raising over $100,000 for charities last spring. Between their philanthropic and raging successes, though, UA Greeks find the beauty of the friendships they make along the way. “You meet girls from all over and learn so many different things about ways of life that might not have known or understood before,” said junior biology and human environmental science major Madison Laney. 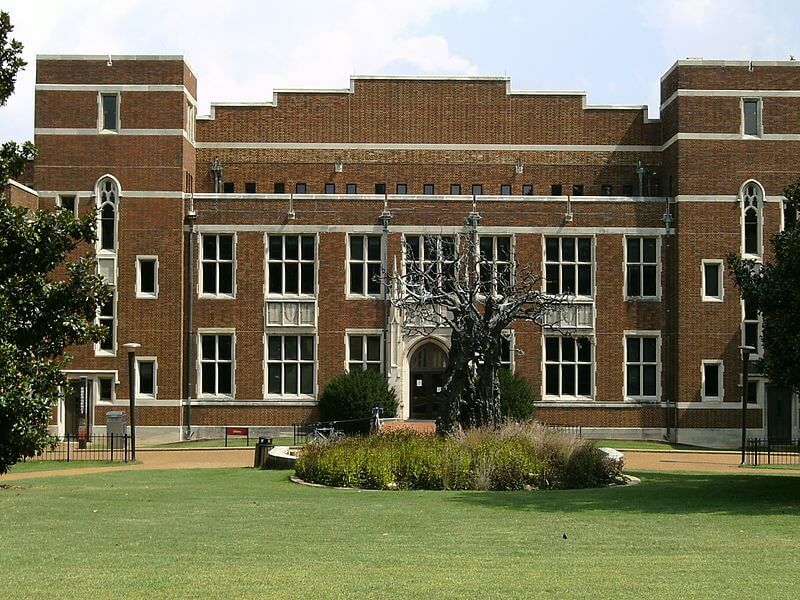 “Greek life at UA is home away from home.” With about a quarter of its students in Greek life, it’s no surprise that this school makes the cut. The quintessential image of the South with its sweet tea and Southern hospitality wouldn’t be complete without Victorian fraternity houses. One major perk for UGA Greek students means getting to trade their cramped dorms for a new lavish pad. And it doesn’t stop there: at UGA, Greek life equals a kickass social life. Every fall UGA and University of Florida students meet in Jacksonville, FL for the Florida-Georgia game, jokingly dubbed “The World’s Largest Outdoor Cocktail Party.” And during the school year, UGA Greeks combine turning up with giving back: the dance competition philanthropy. Every year, Sigma Delta Tau hosts SDT Greek Grind to raise money for Prevent Child Abuse America. 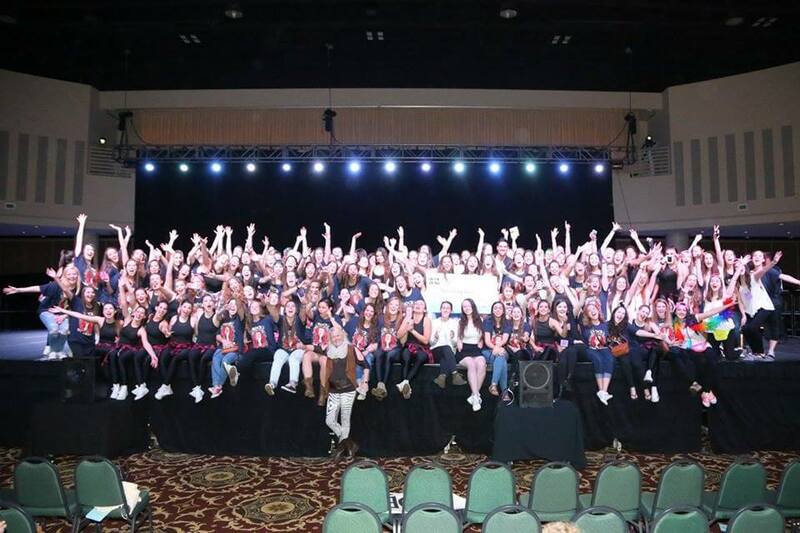 “SDT Greek Grind is an energetic and spirited event where every sorority comes out to support their dancers,” said Brittany Paris, sophomore broadcast journalism major and SDT Greek Grind Coordinator. “It’s pretty competitive but UGA’s Greek life supports each other so much so it’s all out of love. The girls get very into it for bragging purposes during recruitment. Some chapters start hosting practices as early as summer!” Last year, Greek Grind raised around $89,000 for PCAA. Although this school is in one of the flyover states, its strong Greek life definitely remains unforgettable. 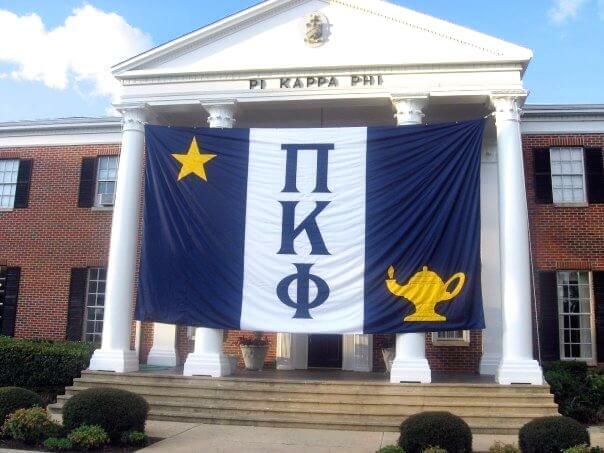 With over 50 fraternities and 30 sororities, Illinois has one of the largest Greek communities in the country. It’s no surprise that this university doubles as a huge party school. What else can students do in the middle of nowhere besides party until the sun comes up? Their philanthropy efforts are also anything but average. Out of hundreds of philanthropy events, perhaps some of the coolest events include ones with human checkers (think wizards’ chest in Harry Potter), pie throwing or rock-paper-scissors tournaments. Who needs bake sales when you can play checkers with your body? While most students take winter break to catch up on much-needed Netflix time, Illinois Greek students spent their break last year volunteering at local elementary schools. Greek equals a way of life at USC. In the past year, USC Greeks logged over 30,000 hours of community service, helping philanthropies that benefit little kids, the homeless, the environment and more. USC Greeks host events like Friends and Neighbors Day, Relay for Life or Sandwich Making for Skid Row (which set a record for the number of sandwiches made in an hour). Are USC Greeks college students or Mother Teresas in training? Of course, it’s not all work and no play. How do weekly fraternity parties in beautiful colonial houses sound? “Fraternities have parties Thursday–Saturday nights and sometimes day parties on Friday or Saturday,” said freshman Emma Hall. “We have exchanges and invites that are usually in clubs or bars in downtown L.A., Hollywood or Santa Monica. Parties have DJs and sometimes guest artists come and perform. This year fraternities had LMFAO, Soulja Boy, and 3OH!3.” Because L.A. basically equals never ending partying options, fraternities and sororities constantly host events all around the city, with people going out every night. With around 50 percent of Vanderbilt women in sororities, it’s safe to say Greek life pretty much dominates. Formals probably make you think of donning fancy outfits and maybe some dancing, but at Vanderbilt Greeks flock to Florida, holding their formals in posh hotel rooms and feasting in lavish restaurants. Even their community events, like their annual Trick-or-Treat with Greeks and Student Athletes which features activities like a bounce house and trick-or-treating on Greek Row, sound anything but dull. Although that kind of thing doesn’t happen every day, Vanderbilt’s party culture stays as strong as ever. Nashville has its fair share of live music, comedy shows and clubs, but fraternity parties remain one of the most popular options for students looking to blow off some steam. Aside from that, last school year the Greeks donated around $400,000 to local and national charities and logged around 65,000 community service hours, with events such as a benefit concert for the Mary Parish Center, which assists domestic and sexual abuse victims. Although their houses are tiny and non-residential, the powerful Greek presence feels like anything but. Who runs Gettysburg? Greek life! 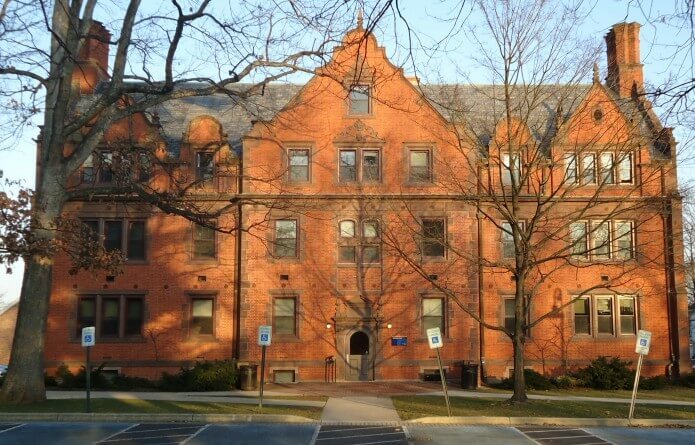 “Greek life is truly the epitome of a community at Gettysburg College. It’s incredible being a part of something so much bigger than my organization, Alpha Delta Pi,” said junior Annabel Waplinger. “The sheer fact of being connected through Greek life allows a mutual understanding of what it’s like to pledge loyalty and time to a cause you are the utmost dedicated to.” In the small town of Gettysburg, PA, fraternities basically run the party scene. In fact, not partying with a fraternity makes you an anomaly. Because sororities don’t have their own houses, fraternities make sure to keep their houses full, leading to the kind of packed parties you only see in movies. Don’t let this school’s small enrollment fool you into thinking their community service efforts are weak. With a history of donating at least $15,000 to charities, Gettysburg’s Greek community is small but mighty. “At the end of the day, regardless of the letters everyone can find a place they call home,” said Waplinger. Did you know that screenwriter Chris Miller got his inspiration for Animal House from his time at Alpha Delta Phi at Dartmouth? Although Dartmouth shut Alpha Delta Phi down last year for hazing, its Greek community still rules the school. Hanover isn’t exactly NYC—most places close as early as 10 p.m.— so where do students turn to after a long, hard week of class? Fraternity parties, of course. From sweaty, packed basements to overflowing kegs Dartmouth Greeks stay true to their traditional image. But they don’t stick to the same old drinking games. Pong is a Dartmouth-exclusive drinking game where students try to knock balls into each other’s cups using ping pong paddles without handles. Sounds like an easy way to get the party started. When not busy playing pong, Dartmouth Greeks dive into philanthropy. Completing nearly 30,000 hours of community service for Hanover and raising more than $300,000 for philanthropies such as local children’s hospitals makes this Ivy League’s Greek community as well rounded as it is epic. Although it sounds like a school full of vampires, Transylvania’s population consists of Greek students, not of pale-skinned, fanged creatures. Over half of this school belongs to a fraternity or sorority, but maybe you already knew this thanks to Delta Sigma Phi’s “Shake it Off” parody that even T-Swizzle herself loved. “The inspiration came from a couple of brothers who wanted to have a fun, goofy activity to do for the day. Our fraternity hall offered a great source community, and they were able to tap into that to make the whole video in one day,” said Delta Sigma Phi secretary and sophomore Austin Stephens. Without their own fraternity row, members meet and party in their dorms, off campus and of course at local bars like Al’s Bar. As it if that’s not enough, fraternities like Delta Sigma Pi completed over 2,000 service hours last year for charities like the Red Cross. “On campus, we have a Chili Cookoff where people inside and outside the university cook homemade chili and bring it to campus, and we let people vote on their favorite. We make money from that off of the admission we charge,” said Stephens. An overwhelming majority of DePauw students go Greek, so this school totally doubles as a huge party campus. “It gives you an immediate friend group and support system when you join, which is a huge plus for a freshman who may feel like they don’t have many friends on campus,” said junior and Alpha Phi sister Liz Holland. “Once you join a chapter, you immediately become connected to all of its alumnae and all of its active collegians. This sense of sisterhood spreads far and wide and there will always be someone where ever you are willing to help you out,” said junior and Delta Gamma sister Mallory Benson. This school’s motto is “Uncommon Success,” loosely translating to “work hard, play hard,” a phrase that couldn’t be more accurate. While they may party at night, by day DePauw Greeks are busy saving the world. “Delta Gamma supports Service for Sight. This is a philanthropy that educates the populous and fundraisers for individuals with visual impairments. We do this through an event called Anchor Splash. For Anchor Splash, teams will buy in and compete in a variety of swimming events,” said Benson. Unlike other campuses where hipsters reign supreme, nearly everyone at Washington & Lee joins the Greek community. The school is trying to make their events less Greek-oriented, but for now, Washington & Lee might as well change their name to include Greek letters. Even students who choose to stay independent will benefit from Greek life. 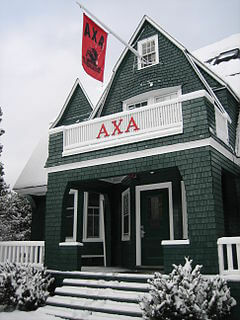 The majority of parties take place at the fraternity houses. With free beer, live bands and DJs, the night never has to end (Mondays included!). Even philanthropy events are reasons to throw down, with sororities holding flag football games, pageants or concerts to raise money for domestic violence awareness or for charities like Make a Wish. While at most schools students stick out for being Greek, at Washington & Lee you’re more noticeable if you’re not Greek. 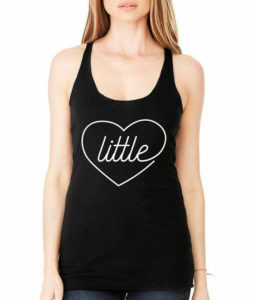 Prepare yourself for Big Little reveal season with these cute tanks.